In the last post, we saw how what we eat affects the makeup of microorganisms in our digestive system. So it makes sense that each of us has a unique microbiota (the trillions of beneficial or neutral bacteria and other microscopic organisms that live in and on us). 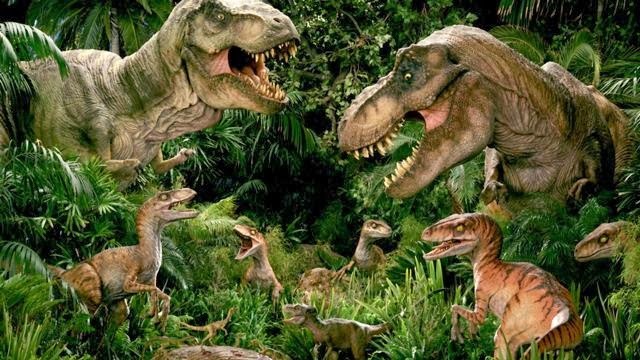 Sounds like The Lost World, but it's important. As the many different species of microorganisms inside each of use try to make their world (us) more hospitable, they affect our well-being in the process. 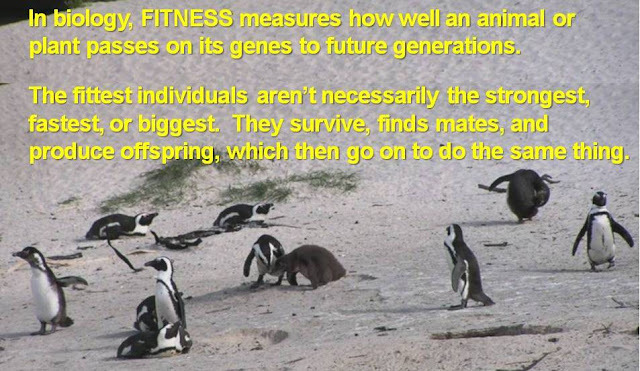 They are struggling to achieve maximum biological fitness, just like other animals and plants, but, of course, their individual and combined actions affect us too. In fact, our gut communities may be influencing our risk of various chronic diseases, weight gain, and mental illness more than we realize. For one, we benefit from a diverse bacterial community. Ecological systems work best with a full suite of plant and animal species, each performing its ecological role (tree produces leaves, insect eats leaves, bird eats insect, etc). We, too, function best with a diverse community of gut bacteria- for one, it makes us less susceptible to several health problems related to obesity. Like all birds or all mammals, all gut bacteria are not the same. The types and composition (the relative amounts of each type) of organisms inside us determine how and whether our bodies break down certain foods. For instance, some gut bacteria specialize in breaking down sugars – yea! I am looking for more of these, for sure. Goal for 2014, perhaps? Others, called Bilophila (they love bile? ), specialize on the excess bile we produce to help digest animal fats (so they thrive on a high-fat diet), while still others ferment plant material so that we can utilize it for energy. It's good to have a broad mix. In a study in Denmark, obese people with a less varied intestinal flora had higher rates of cardiovascular disease, diabetes, and inflammation than obese people with a more diverse gut flora. Obesity is strongly linked to "metabolic syndrome," a catch-all phrase for a group of conditions – excess body fat around the waist, high blood pressure, a high blood sugar level, and abnormal cholesterol levels – which often occur together and which increase the risk of heart disease, stroke and diabetes. In other words, metabolic syndrome is associated with weight gain and overeating of high-sugar, high-fat foods, but the problems are more likely for people with fewer bacteria species in their gut. Eating highly-processed food, which is both sterile and low in fiber, not only increases your caloric intake, it also decreases the number of bacteria species in the gut. We can increase the bacterial diversity by eating from a variety of less-processed foods, particularly plants. Plants contain hundreds of different complex carbohydrates, including fiber, called polysaccharides, and different microbes break down different polysaccharides. By consuming sufficient fiber, you increase the food options for bacteria and, in turn, the number of species that can live in your gut. So grab some vegetables and start the party! In addition to diversity, studies suggest that obese mice and people have different relative abundances of certain groups of friendly bacteria in their guts than lean mice and people. Specifically, having more of a group of gut bacteria called Firmicutes and less of a group called Bacteroidetes is linked to obesity, even in kids. Researchers speculate that people are more likely to gain weight when gut bacteria are more efficient at breaking down food, enabling the body to absorb more calories, which they believe Firmicutes does. They theorize that less-efficient bacteria allow food to pass more quickly through the intestines. They've also found that eating or drinking certain fruits (apples, pears, grapefruit) or green tea, all of which are high in polyphenols, seems to favor the Bacteriodetes over the Firmicutes and has helped obese people lose weight. You can thank the mice for all this information. Much of the research uses lab animals that are fed controlled diets, which helps clarify the link between the microbes and weight gain. it's not my fault! Just ask the microbes! 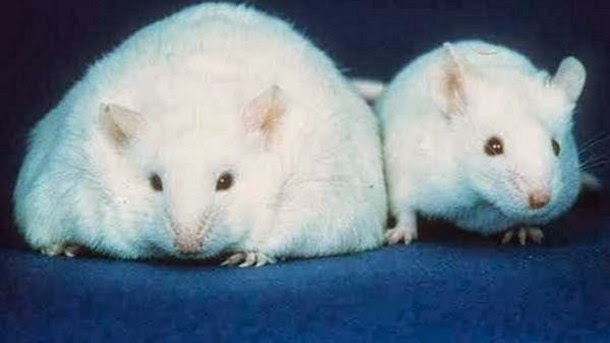 One study transplanted bacteria from pairs of human twins, one lean and the other obese, into germ-free mice that ate low-fat mouse-chow (mouse chow??). The mice with bacteria from a fat twin gained weight, while those with bacteria from a thin twin didn't. The composition of the gut flora in the mice also reflected those of their human donors. Curiously, when pairs of mice with different gut bacteria were housed together (mice eat feces to gain more nutrients, so they also take in each others' gut bacteria readily – yum, yum), those who'd received the obese-human bacteria not only didn't gain weight, but their gut microbe community shifted back toward that of their buddies with lean-human bacteria. In other words, the exchange of gut bacteria from thin mice to obese mice changed the gut bacteria of the big guys and made them lose weight, but not the other way around. Bacteria from a fat mouse don't take over the gut of his/her thin roommate. So no excuses. There is already talk of how to generate mixtures of pure bacteria [to avoid consuming feces! 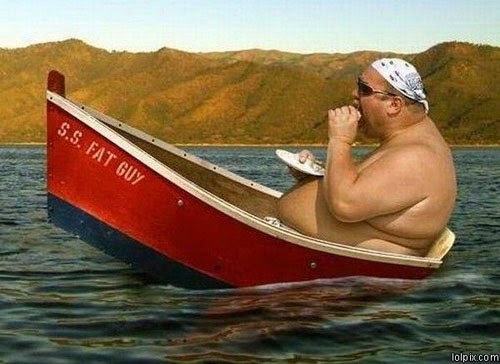 :| ], to eventually apply these results to helping people manage their weight, but scientists say this is still for the future. They are still determining whether gut bacteria composition is a symptom of or a contributor to obesity. Or both. My previous post on how eating certain high-fat, high-cholesterol foods — including eggs and beef — encourages bacteria to produce a compound, called TMAO, that seems to boost the risk of heart disease.